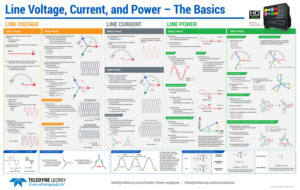 Fill out the form to get a FREE Line Voltage, Current, and Power poster. Company name is required. NOTE: Scroll down and click the red GET MY POSTER button.